Hawaiian Airlines is one of the leading airlines of the nation. Hawaiian Airlines, formerly known as Inter-Island Airways was founded in 1929. They expanded their business and modified their service by introducing modernize Boeing 717-200 aircraft and Boeing 767-300ER aircraft at the beginning of present century. In addition, they recently added Airbus A330-200 aircraft that enhances their service largely. They offer regular services to Hawaii to different other cities in North America. They offer their exclusive services to almost 20 international and domestic destinations in the Pacific region and usually carry near about 8 million people a year. Mark Dunkerley is the CEO and president of the company. There are currently 0 consumer reviews about Hawaiian Airlines available. Share your review. Please take a note that you are about to post a public review about Hawaiian Airlines corporate office on CorporateOffice.com. This review will be public, so please do not post any of your personal information on this website. 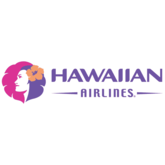 If you would like to contact the corporate offices of Hawaiian Airlines, please use their contact information such as their phone number, website, and address listed above to contact them. However, sometimes staff from Hawaiian Airlines headquarters do read the reviews on this website.